UPPER EAST SIDE, Manhattan (WABC) -- Three people were burned in a flash fire inside an elevator on Manhattan's Upper East Side Thursday afternoon. 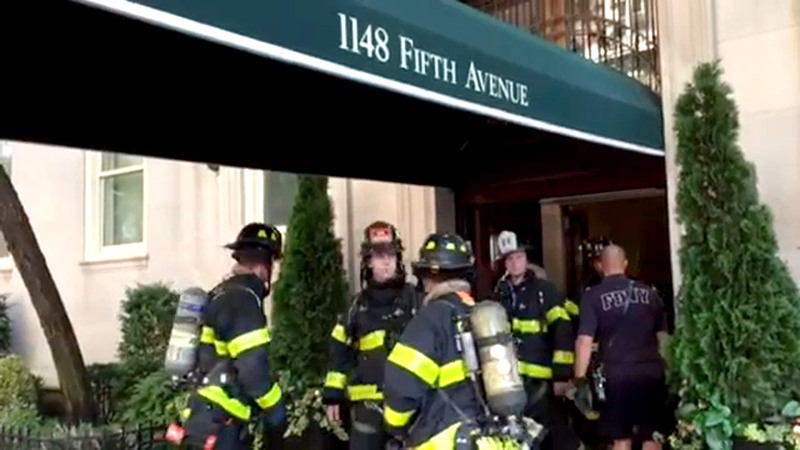 The incident happened in a building at East 96th Street and Fifth Avenue. Officials said two men and a woman were all hurt in the incident - 2 of them are in serious condition. Fire officials say workers were using flamable solvents to refinish the interior of the elevator when they suddenly ignited.